In 1969, Richard Nixon proposed cutting the funding for the Corporation for Public Broadcasting from $20 million to $10 million. 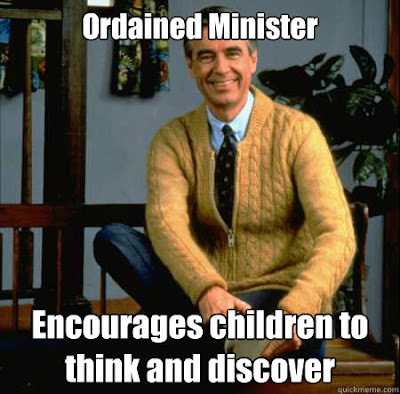 One man was very influential in preventing that. 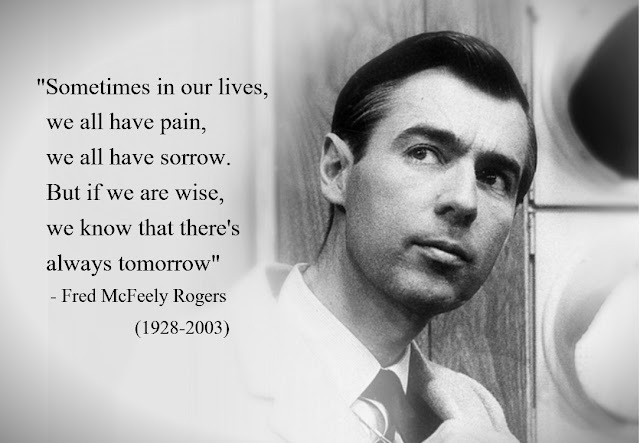 "If we . . . can only make it clear that feelings are mentionable and manageable, we will have done a great service." 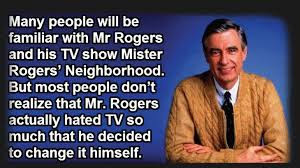 Court cited Rogers' comments in their ruling: "He testified that he had absolutely no objection to home taping for noncommercial use and expressed the opinion that it is a real service to families to be able to record children's programs and to show them at appropriate times." Mr. Rogers' Neighborhood is the longest running program on PBS recording 998 episodes. After Fred earning a bachelor's degree he worked an assistant producer for several of the music-variety type programs. Fred's mom knitted a sweater for him every year for Christmas. 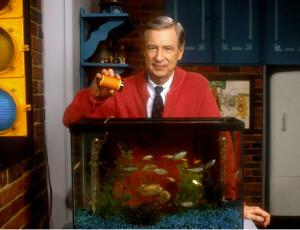 He donated a red cardigan to the Smithsonian and chose that particular sweater because the color wasn't good on camera. He changed his shoes because the loafers made too much noise on the floor. "When I was a boy I used to think that strong meant having big muscles, great physical power; but the longer I live, the more I realize that real strength has much more to do with what is not seen. Real strength has to do with helping others." As a boy, he spent most of his free time with his grandfather. 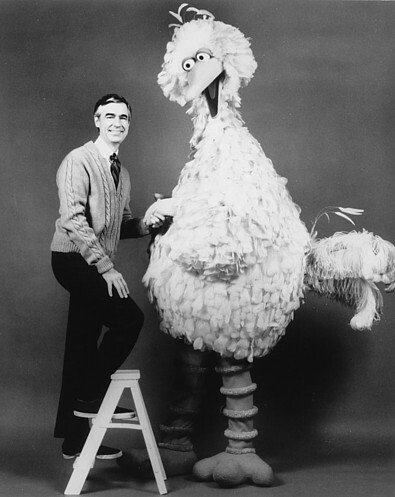 Mr. McFeely is named after his grandfather. When Mister Roger's fed the fish, he described what he was doing because the parents of a blind girl said she couldn't tell when he was feeding them. 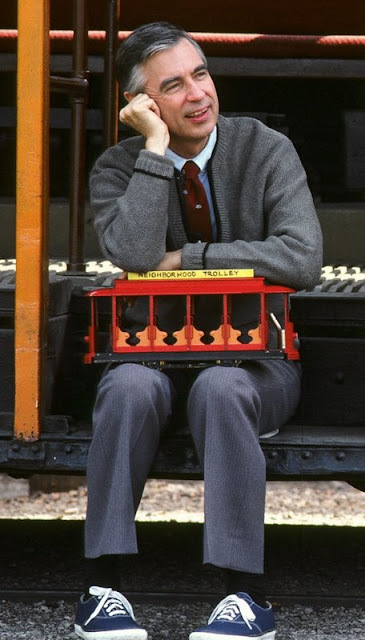 Michael Keaton was the original operator of Picture, Picture and the Trolley. "A world needs a sense of worth, and it will achieve it only by its people feeling that they are worthwhile." 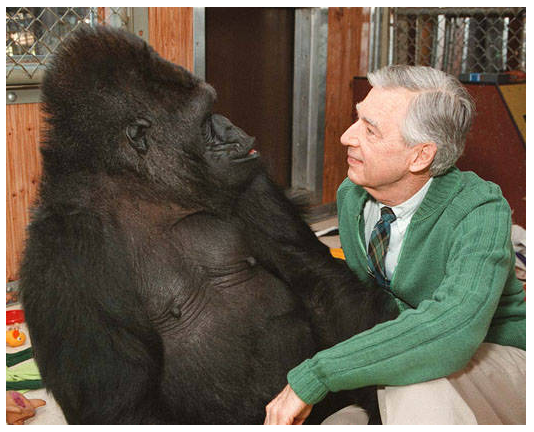 Koko the gorilla was a fan of Mister Rogers. When she got to meet him she hugged him and then took his shoes off. Burger King ran a commercial with a parody in 1984. 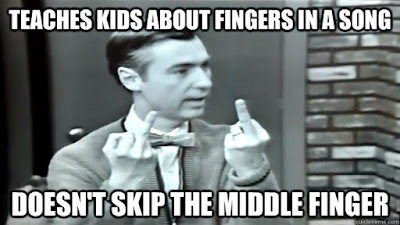 Mister Rogers asked them to stop. They pulled the $150,000 ad after it had played only a few times. 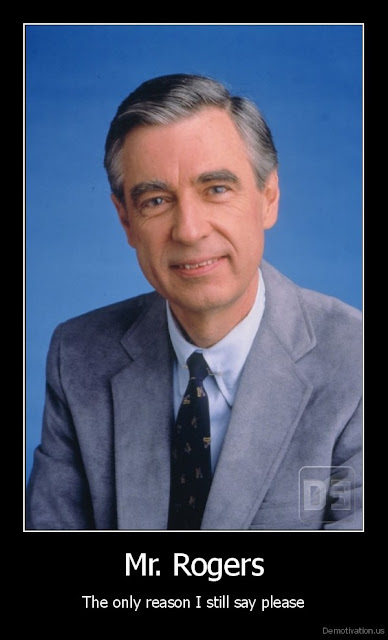 "Mr. Rogers is one guy you don't want to mess with ... hopefully now we have peace in the neighborhood." 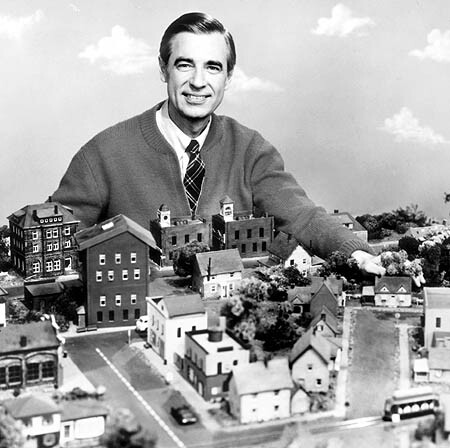 Mister Rogers recorded a message to those who grew up watching "Mister Rogers' Neighborhood. 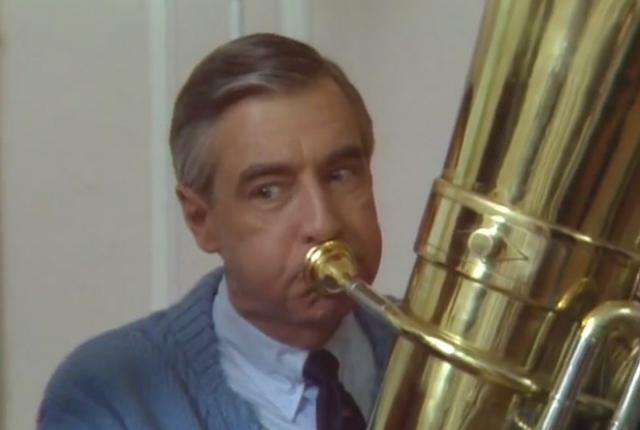 It aired on PBS to mark the one year anniversary of 9/11, about five months before he died. 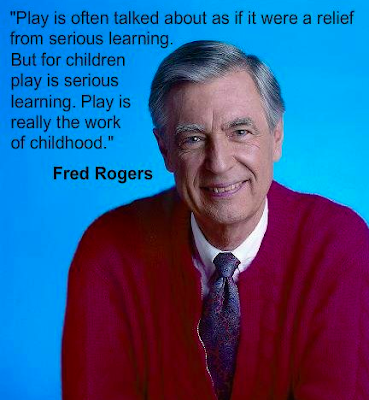 The Fred Rogers Company at http://www.fredrogers.org has several projects including Daniel Tigers' Neighborhood. My sister and I got to see Mister Rogers and it was the most excited I have ever been to see a celebrity. We gave him (a Presbyterian minister) a Book of Mormon and he sent my mom a thank you card. 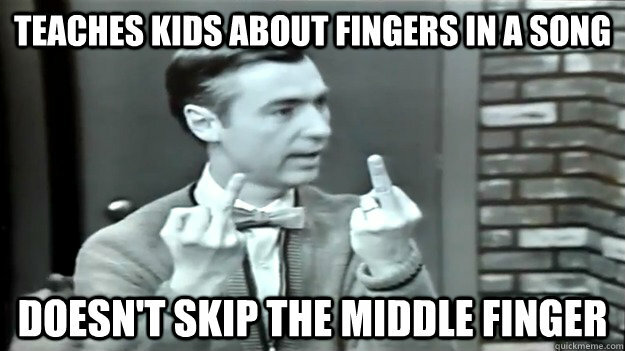 A true gentleman.